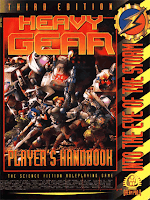 Bundle of Holding has a bunch of second and third edition pdf's of the Heavy Gear RPG on sale until April 24 2017. This is a great opportunity to get into this rich sci-fi setting that is way more than just about mecha combat. Living in Montreal gave me the opportunity to meet and play a HG demo with one of the designers at a con back in the day. It was a blast and I ended up spending a fortune on buying books and models. It saddens me a little that Dream Pod 9 pretty much focuses on the tactical miniatures combat side of the game these days. The Silcore system is based on the Silhouette system that exclusively uses d6s. The rules are skill based, there are no classes and it is easily breakable if you have a spike in your group. If you're looking for a system that is simple and can scale well between tactical vehicle combat and roleplaying all tied into one then this is you're system. Silcore came out during the d20 boom and tried be be a generic system that you could use for whatever genre you could conceive. 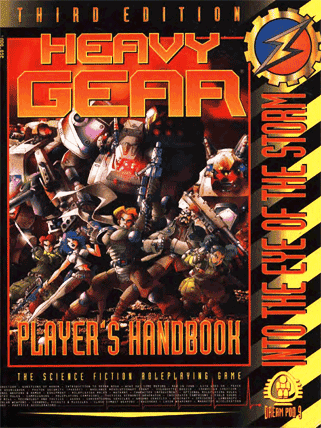 It made a few adjustments to the rules but otherwise theres not a whole lot of differences between first edition heavy gear to this version. The Heavy Gear universe is deep and well thought out. There is room to run virtually any kind of game you want. Each geopolitical region of Terra Nova (the main world in the setting) is rife with potential for adventure and intrigue. This is one of those RPGs that I've longed to run a full campaign for but never had for various reasons. I did run a cyberpunk bank heist style adventure with the Slicore rules once and that was pretty rad. Our old group played in the adventure that was in the back of the first edition rule book that I recall was pretty fun. 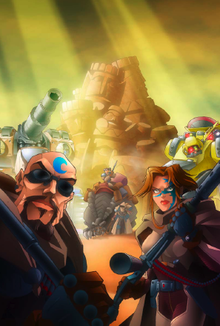 But yeah, beyond a short lived tactical campaign we didn't do too much with all this RPG goodness. Such a shame. Learn from my mistakes! Go out and get yourself some Heavy Gear right now while the price is right!